We welcome St Petersburg native Torn to the Samurai camp. 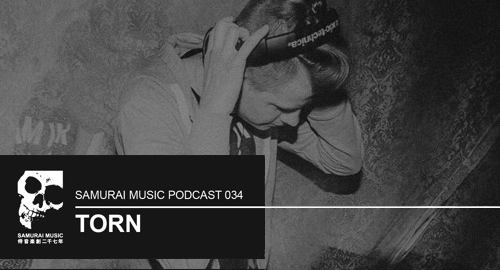 To celebrate the release of his debut solo EP ‘Grethen’ and first solo vinyl release on the Samurai offshoot label Shiro, Torn has put together a podcast for Samurai Music packed with largely his own forthcoming productions. Torn’s music infuses sonic threads from techno without losing the momentum that the D&B tempo allows. Propulsive and vital, the tracks in this mix show he is on a rapid maturing curve where his music has become essential in the sets of Homemade Weapons, Loxy, Clarity, & Presha. More Torn music has been signed to Samurai, but for now enjoy this sneak peak into the future of one of D&B’s most exciting new faces.